We are thrilled to announce our judges for the Children's Business Fair this June 16, 2018, at the Pinewood Forest Marketfest. These experienced entrepreneurs and social entrepreneurs will spend quality time with each of our kidpreneurs to understand their businesses, provide valuable feedback, and ultimately choose the top prizes for the business fair. Marea is CEO of fido fido Dog Daycare & Boarding, a privately held, service driven business in Sandy Springs, GA. fido fido provides accommodations for and meaningful social interactions between dogs. Marea started fido fido with her father in 2006 from the ground up and fido fido has since earned multiple community awards and recognition as one of the most loved and trusted businesses of its kind. Marea strives to create and foster a culture of excellence among her employees. With her leadership, fido fido created a customer care module that has fostered an enthusiastic and loyal clientele, some who travel miles out of their way just to use its services. Previously, as a Senior Publicist at CNN in Atlanta, Marea led the publicity efforts for CNN Presents, the Network’s documentary series. She secured articles in top publications nationwide, including The New York Times, as well as interviews on radio stations, syndicated programs and television. She also has the distinction of being Dr. Sanjay Gupta’s first publicist at the Network. Marea holds a MA in Public Relations from The S.I. Newhouse School of Public Communications at Syracuse University. She is a 2017 graduate of Leadership Sandy Springs and currently serves on its development committee. 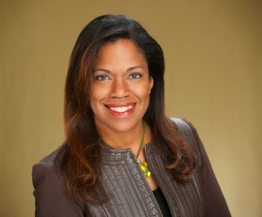 She is also a 2004 alumni of the Buckhead Leadership Development Program. She is currently enrolled in Kennesaw State University’s Mini MBA Program. Chris Patton is founder and senior pastor at Southside Church in Peachtree City, Newnan, and Henry County. Chris has deep experience in social entrepreneurship, coaching and mentoring, and community organizing. Prior to founding and leading Southside, Chris served as missions and discipleship pastor at the Grace Family of Churches. During his tenure at Grace, Chris co-founded Grace Midtown. Before Grace, Chris launched three campus ministries at West Georgia College, Tennessee Tech, and Murray State. 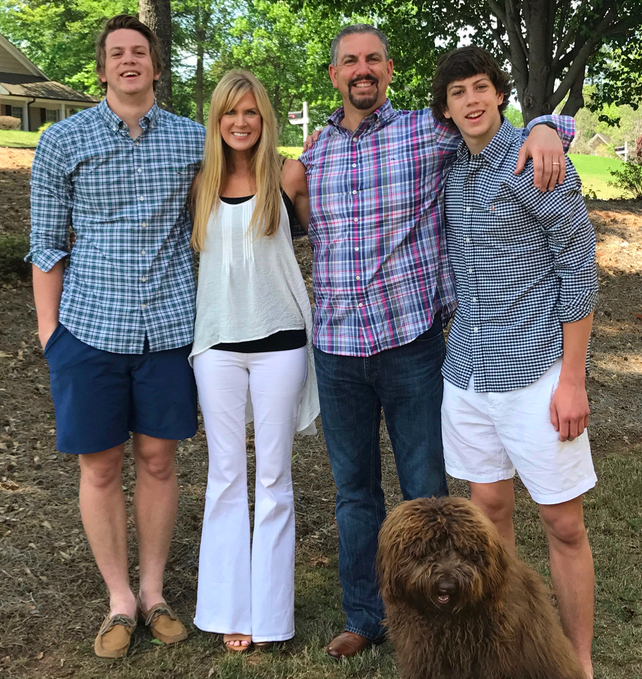 Chris lives with his wife Jennie and their two boys in Peachtree City, GA.
Brandon Hamilton is a global youth leader and upcoming entrepreneur who has trained over 6,000 youth to date in leadership and career readiness with singer Usher Raymond IV and his non-profit, New Look. Growing up, Brandon was the 3rd of 7 children living in Columbus, OH and was forced to move to Atlanta with his father and grandmother due to financial struggles. In Atlanta, Brandon excelled in school and sports winning multiple awards for his academic excellence and competitiveness in football and track events. In college Brandon passed on an opportunity to play football for a chance to travel the world and follow his true passion, instructing and leading youth. Since then he has done just that while also creating and implementing his own class in Cobb County Schools centered around leadership and college/career prep skills. Brandon is also a lover of music and the arts, and shares some of his musical talents with his students inspiring them to follow their dreams and inner-passions. Victor Collins Jr., a native of Durham, NC, owns his own real estate business serving the metro Atlanta with the VJR Group at Keller Williams Peachtree Road. Vic also has a consulting business helping organizations with continuous improvement. Together Vic uses these platforms to build revenue streams for college scholarship endowments at both NC A&T SU and NCCU. To date, Victor has raised over $15,000 in college scholarship endowments funds through his businesses and non-profit, The Create Nothing Other Than Excellence Foundation. The goal is to fully fund education for students attending Historical Black Colleges and Universities. Earlier, Vic worked across several industries and organizations in Georgia, Iowa, Ohio, Texas, and California, and led continuous improvement for high performance culture and performance management in multiple organizations. In 2012, Victor entered the North Carolina Central University (NCCU), School of Public Administration and in 2013 he became a change agent for public education by entering a fellowship with the Los Angeles Unified School District (LAUSD). While with LAUSD he worked with the Budget and Food services division, which is America’s largest school breakfast program and 2nd largest national school lunch program, serving 650,000 meals to students each day to develop key performance indicators for maximizing revenue. In 2013, Victor was awarded the Los Angeles Cohort of Education Pioneers’ core value award of Action as an aspiring education leader. After graduating NCCU, Victor worked with the Fulton County Board of Education in Atlanta, GA. Vic holds a Bachelor of Science Degree with honors in Industrial and Systems Engineering at North Carolina Agricultural and Technical State University (NC A&T SU). Victor’s enthusiasm to lead organizations has led him into the entrepreneurship world with his other passion of real estate which he believes is the gateway for building a greater voice and platform for people through giving. Payden helped launch goperformance and fitness in 2012. goperformance and fitness is an upscale training facility in Peachtree City designed for adult and athletes. While opening the small business with her husband, Lane, Payden worked in Marketing for Chick-fil-A. She now assists the goperformance team in the day-to-day operations, training clients and marketing. Her main passion is around nutrition and making a healthy lifestyle manageable for busy families. Payden and her husband have two boys, Malachi and Bravery. Payden has a BA in Journalism and Mass Communication from Samford University as well as a Certification in Precision Nutrition Level One. Her hometown is Center, AL. Payden and Lane have lived in Peachtree City for ten years. Please join us in welcoming the following awesome judges!